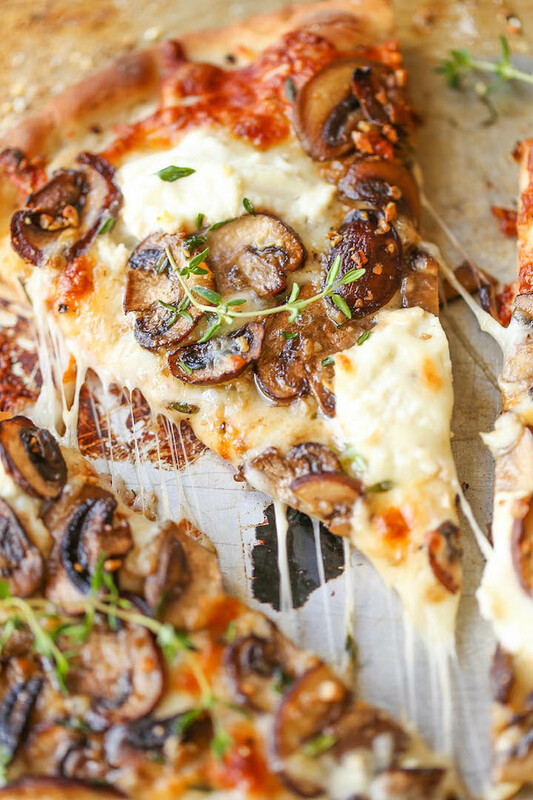 The BEST pizza for all cheese and mushroom lovers! Loaded with 2 types of cheese and garlic herb sautéed mushrooms!! AMAZING. So for now, I’ll stick to this white pizza. Preheat oven to 450 degrees F. Lightly coat a baking sheet or pizza pan with olive oil. Melt butter in a large skillet over medium heat. Add garlic, and cook, stirring frequently, until fragrant, about 1-2 minutes. Stir in mushrooms, thyme and oregano. Cook, stirring occasionally, until mushrooms are tender and browned, about 5-6 minutes; season with salt and pepper, to taste. Working on a surface that has been sprinkled with cornmeal, roll out the pizza into a 12-inch-diameter round. Transfer to prepared baking sheet or pizza pan. 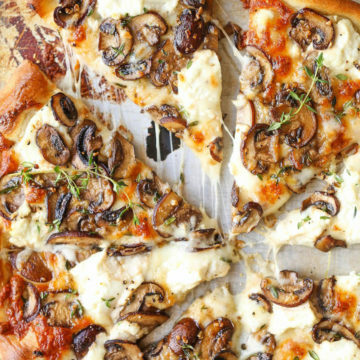 Top with mozzarella, dollops of ricotta and mushrooms. Place into oven and bake for 15-20 minutes, or until the crust is golden brown and the cheeses have melted. 0 Response to "WHITE MUSHROOM PIZZA"